Plants from plants: that’s LEGO’s description for its first sustainable bricks. The company plans to roll out botanical elements like trees, leaves, and bushes manufactured with plant-based plastic sourced from sugarcane this year. The move is part of LEGO’s goal to utilize only sustainable materials in their packaging and core products by 2030. LEGO is utilizing plastic polyethylene based on sugarcane material: specifically, ethanol. LEGO Group Environmental Responsibility vice president Tim Brooks said plant-based polyethylene possesses the same properties as regular polyethylene, so kids and parents probably won’t notice a difference in the look and quality of the new bricks. The sugarcane is sustainably sourced, according to the company, “in accordance with guidance from the Bioplastic Feedstock Alliance,” which is a World Wildlife Fund (WWF) initiative. 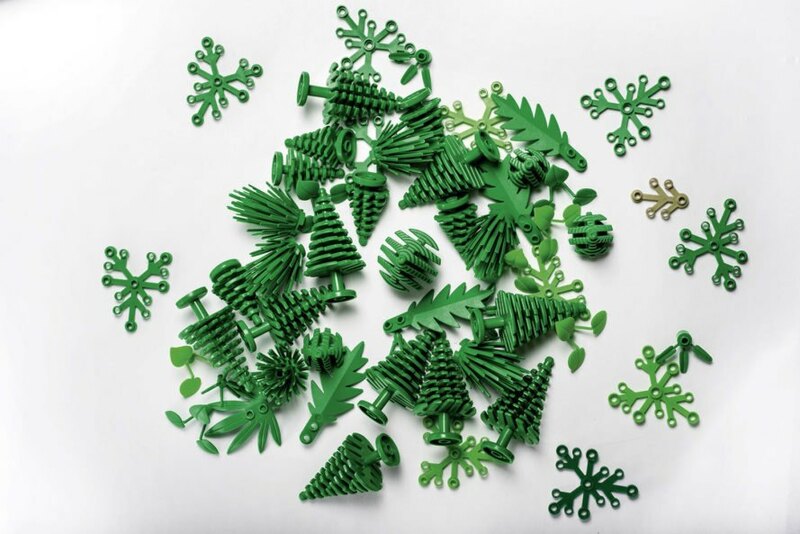 It’s also “certified by the Bonsucro Chain of Custody Standard.” LEGO partnered with WWF “to support and build demand for sustainably sourced plastic” and joined the Bioplastic Feedstock Alliance. LEGO’s press release did not include information on recycling the sustainable bricks; but The Guardian said the bioplastic could be recycled several times, although it’s probably not 100 percent biodegradable. As of now, polyethylene elements comprise one to two percent of all the plastic elements produced by the company. The sustainable trees, bushes and leaf pieces will be comprised entirely of plant-based plastic, and they will pop up in LEGO boxes in 2018. Are you saying you are not destroying rainforests or other natural habitats to grow your sugar cane? We don't need anymore deforestation anr monocultures like they did with palm oil. I would love to know the answer please. LEGO is introducing their first-ever sustainable bricks. The sustainable bricks are comprised of plant-based plastic. The sustainable bricks will pop up in LEGO boxes in 2018.